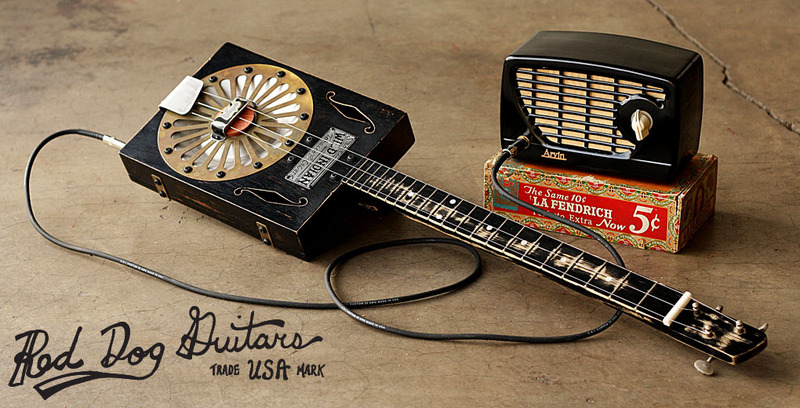 If you wondering, why would you want to take a old cheap radio and turn it into a guitar amp? There are many reasons, they are really cheap to buy, the enjoyment of listening to something "retro" that you have brought back to life, but most important is the vintage tone. They usually will sound so polar opposite of a quality well built guitar amp that it has an allure all its own. These guitar amplifiers have a distinct, raunchy, snarly out of control and raw tone that most would consider "terrible," but it goes absolutely perfect with early Rock and electric Blues. The truth is, they almost always have a slight hiss, speaker and body rattle or volume breakup due to the age of the speaker or transistors. That is the charm of vintage electronics. 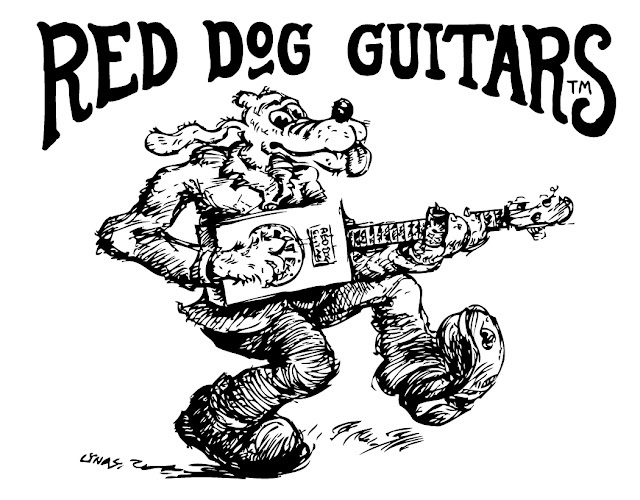 They can give your music a unique 1930's, 40's and 50's ruff outer edge to your playing and recording. 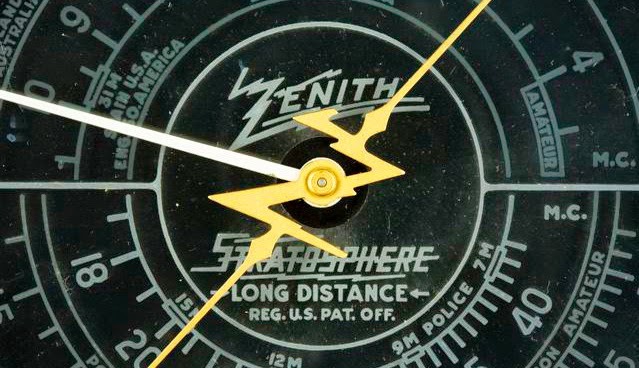 Vintage electronics add a distinct "Lo-fidelity" sound to your playing and recording. Spend some time and read below and you'll see just how easy it is to turn any old radio into a guitar amp. It usually only takes about 20 to 30 minutes or so and only cost a few dollars. You will only need wire and a 1/4 input jack, usually nothing else will be needed. 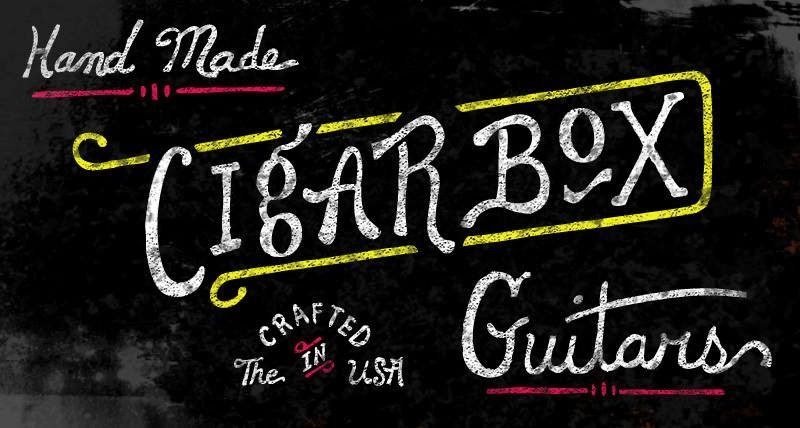 I enjoy building and playing cigar box guitars. It's the only type of guitar I play. So keep in mind some of the tone in the videos on this page does come from the instrument I use, But any guitar would work. 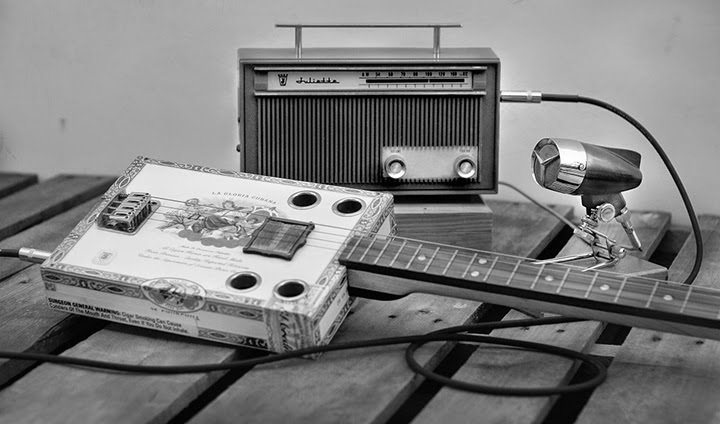 If you like vintage Blues or early Rock n' Roll just a simple 3 or 4 string cigar box guitar can help you achieve that old time sound, and also playing slide guitar is big part of the tone. This webpage is just ramblings that might help you find an interesting way to amplify your guitar. 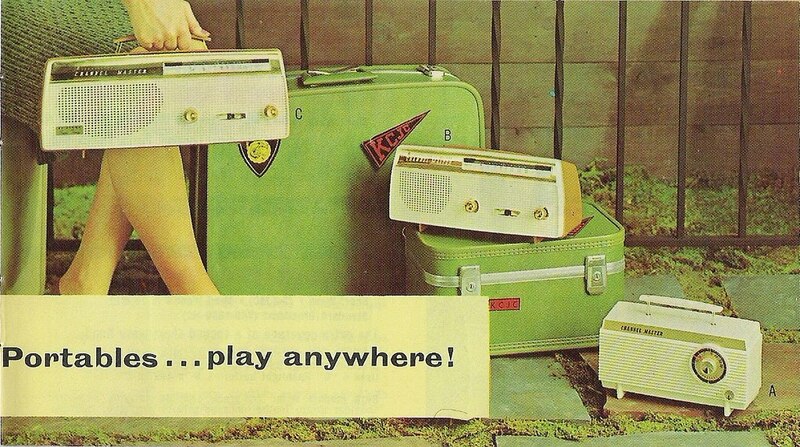 This is a simplified explanation here, but you can convert just about anything that has a speaker....old radios, Tape players, reel to reel, cassette decks, portable record players and any device with a speaker. You never know what old electronics will sound like when it's hacked, that's the surprise in every one. To tap into radios, you simply tap into the volume power supply. It is almost always the same operation. First find a common ground on the radio, then touch the positive ( hot/ power ) on the back of the volume potentiometer till you find the correct lead with either a volt meter or a guitar cable spliced and strumming the guitar while in your lap. Watch this video below and see how I hack into a radio I found for sale while on vacation at my mother's house. The song demo is at the very end of the video. If you listen with headphones you will be able to closely hear the recording possibilities with vintage electronics. Computer speakers will not play the music in full like headphones. These old radios have such a great sound! 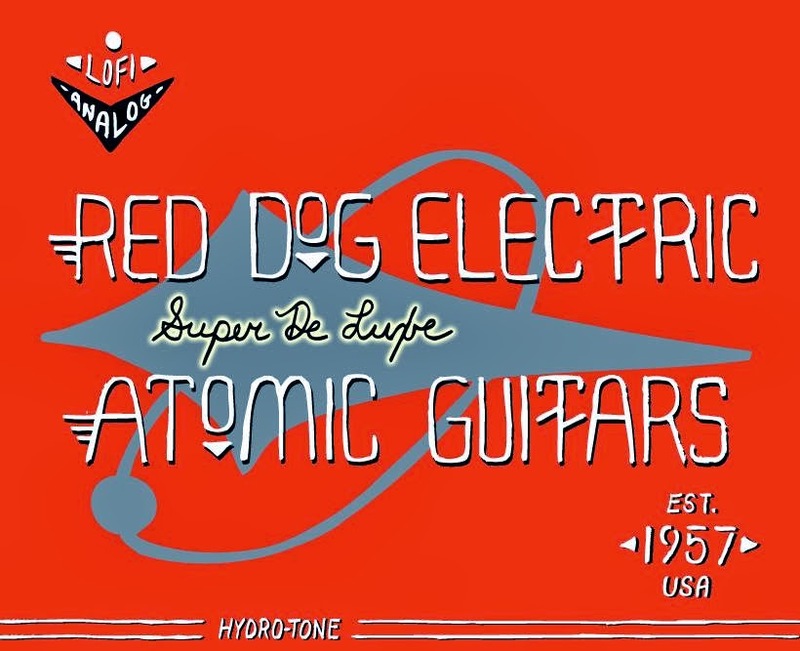 What Radios make good guitar amps? What I did to learn was tore apart a bunch of radios to see how they worked. I took apart several old tube radios, clock radios, transistor radios, big and small radios, portable tape decks, battery powered and wall plug in types, from the 30's, 40's, 50's up to modern day. I just bought attractive radios that had a good look to my eye and then I opened them up and tried to figure out how they were made. Some of them took many hours to take apart as most often I had no clue how to even get the dang grill off other than cracking it off! ...some were simple to disassemble, some were space age deceptively confusing. 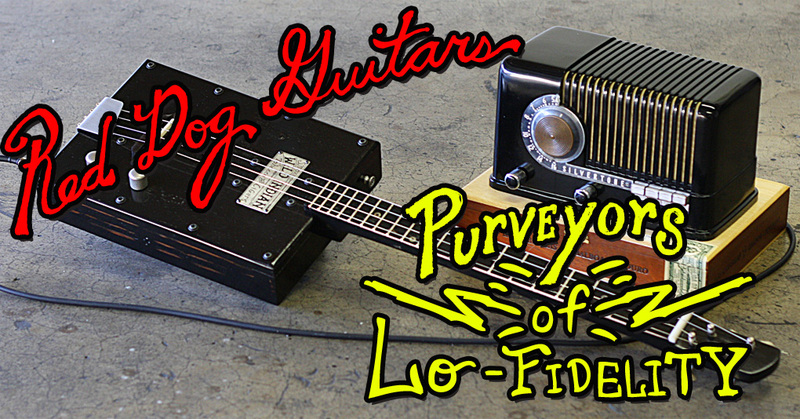 Here is the short on what I have found made the best and easiest radios to turn into guitar amplifiers. 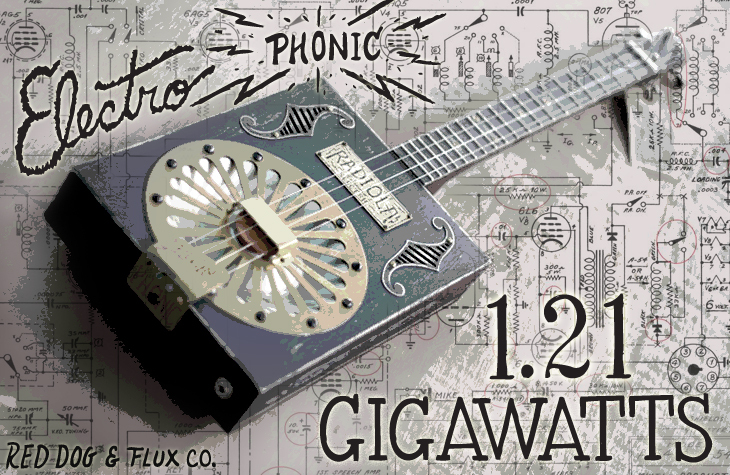 Battery Powered Germanium Transistor radios are the guitar amp hackers dream. 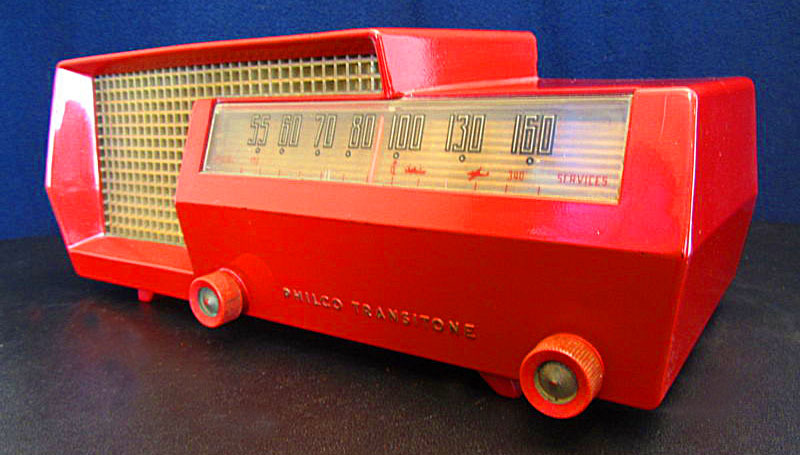 Vintage Transistor radios from the late 50's to mid 70's are easy to over-ride, and they have the sound of traditional amplifiers. News flash...that's what the are...they are small amplifiers! 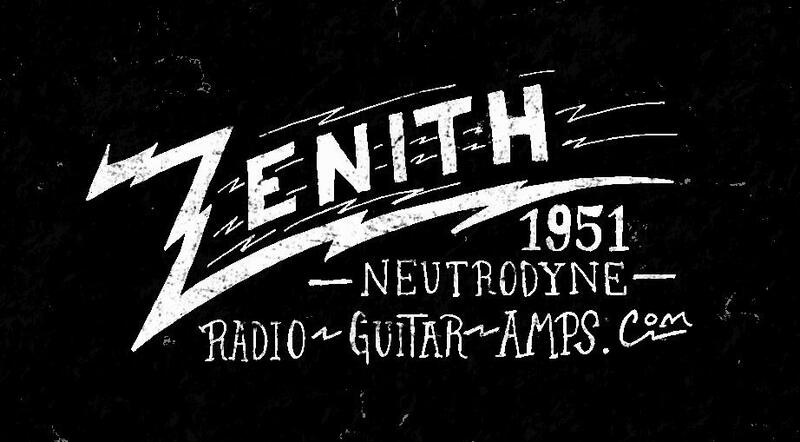 The radios that make GREAT guitar amplifiers are radios that have the early transistors that are made of germanium. They have a unique sound all their own. 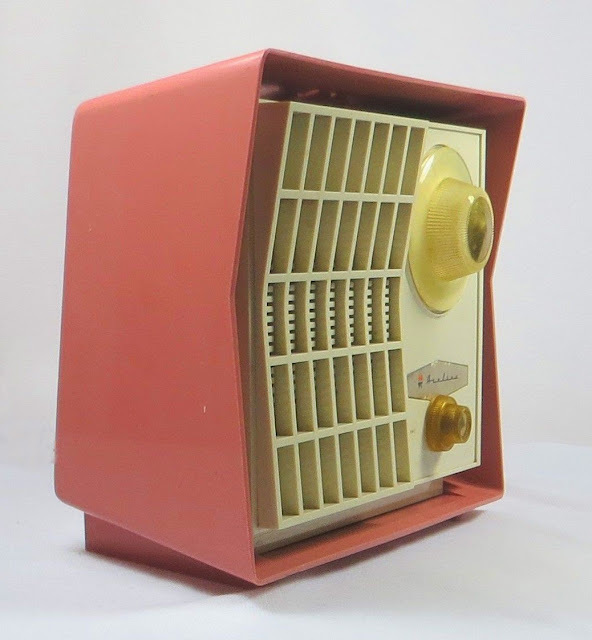 They started making germanium transistor radios sometime mid to late 50's and they all sound really great, there is ALOT of volume, they ring clear at low volume but breakup just like a solid state amp at around 6. If you find the right radio to hack, the overdrive can be awesome. Best of all, they are low wattage and battery powered, no need to plug them in a wall, and the MOST important thing for you is ... they are safe to operate and use. When you don't know what your doing, only taper with Battery powered radios! I will admit this right now, I don't know anything, I am just posting this page here with FREE info and ideas to help you create new ideas for your hobby of guitar....But, don't hurt yourself. DO not plug your guitar into a radio that is plugged into the wall!!!! I have done that before, you are either going to trip your circuit breaker in your house or shock yourself, both of which I have done. So, trust me on this one. I have already explored that avenue. 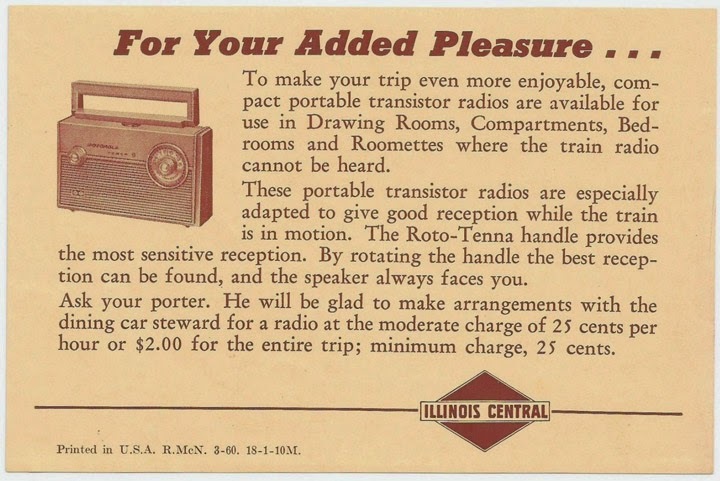 Only use vintage battery powered Radios. Otherwise, you can really regret tampering with vintage electronics and plugging them in your wall. 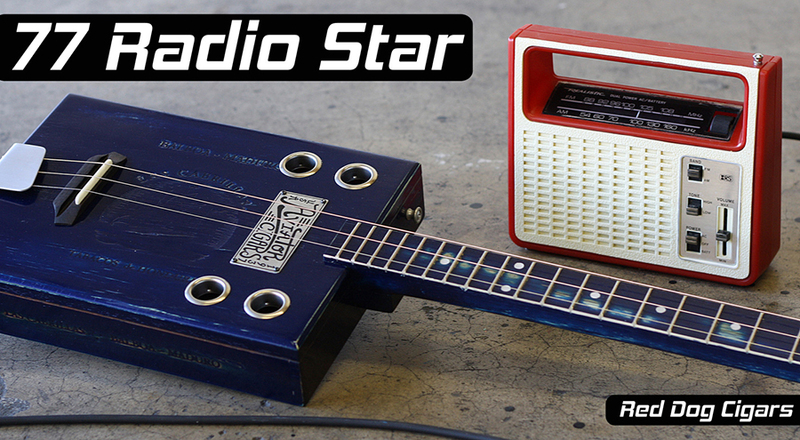 Here is an 1950's Admiral 6 Transistor Radio I hacked into a guitar amp and then recorded strait with no effects. It's simple and clean, and yes a bit crude, but it has such a unique and great sound! Have a listen. This amp has Germanium transistors, listen closely how it's both clear sounding in the beginning, yet as I apply pressure in my playing the tone "breaks up" to give it a nice natural overdrive. Arvin, Admiral, Silvertone, RCA, Kent, Temple, Airline, the list of makers is endless. 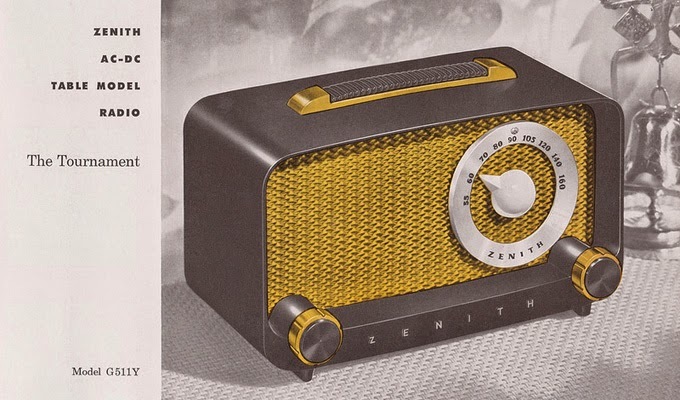 They made ga-zillions of radios before the TV came along. With these table top radios, the speakers are perfect and the size of the body is perfect for both a daily player as your "go to amp" but also as a travel amp. I love these mini table top radios, they have a metal body and they have the neatest look. This style of radio was made by many makers and made in many styles. These radios are super cheap, usually in the $15 to $25 dollar range. 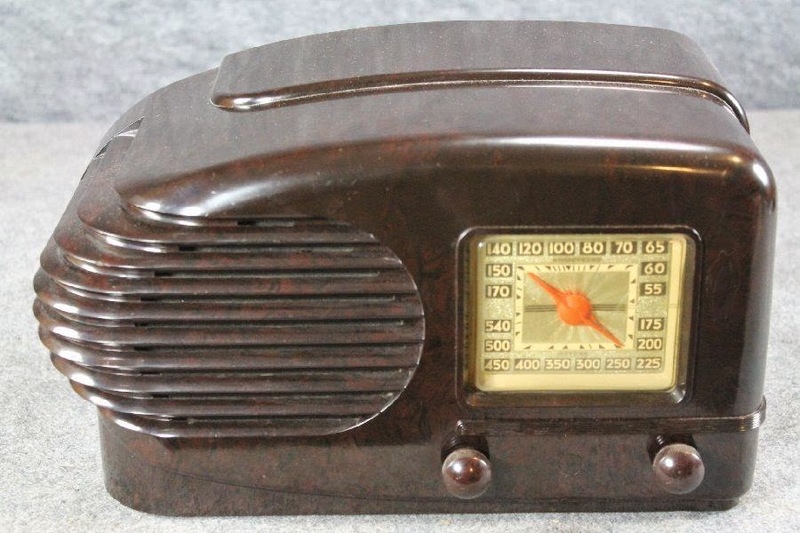 These type of table top radios have metal bodies, you can paint them if you want, or leave it all rusty to show its age. 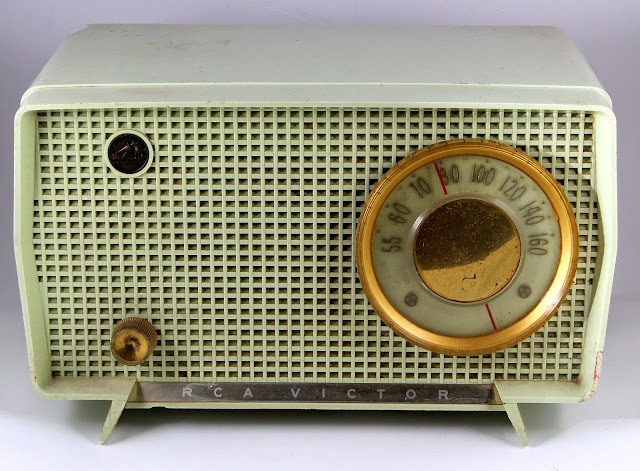 There is a zillion old radio bodies for sale on ebay. Just search around and see what comes up. 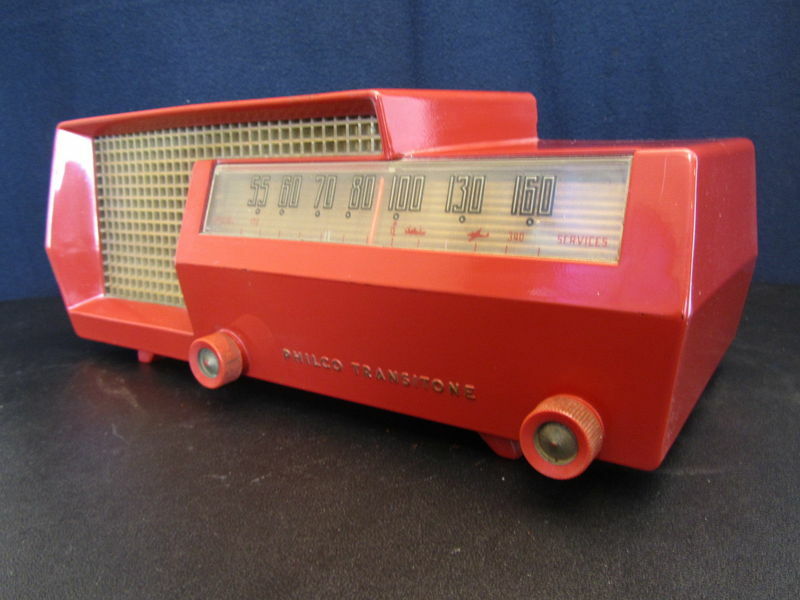 The best advice and quickest way to learn, is to buy some old cheap radios from goodwill or the flea market and take them apart and see whats inside. After a few different types and styles you will figure it out what makes a good amp and what looks cool but will not be very practical as a guitar amplifier. 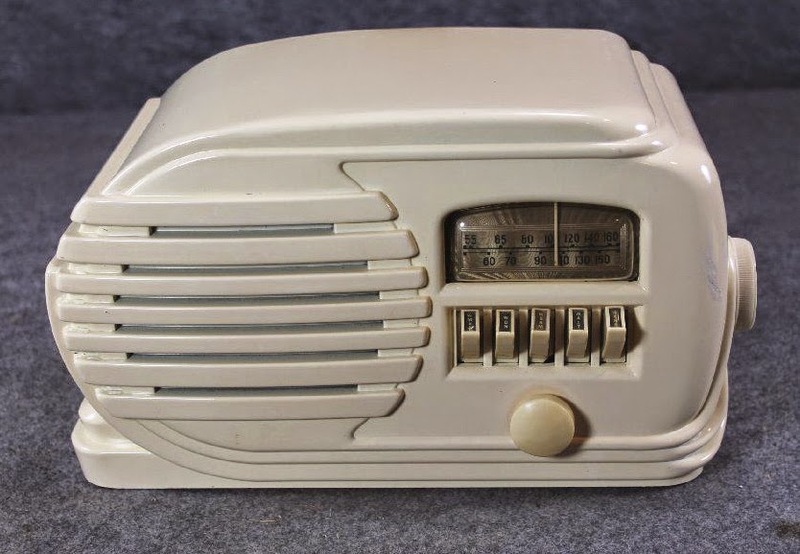 One good thing about old radios, is they are all basically the same inside, each brand did NOT reinvent a new product, they just changed the out-side housing. They are all for the most part the same inside, per generation ( 50's, 60's etc). 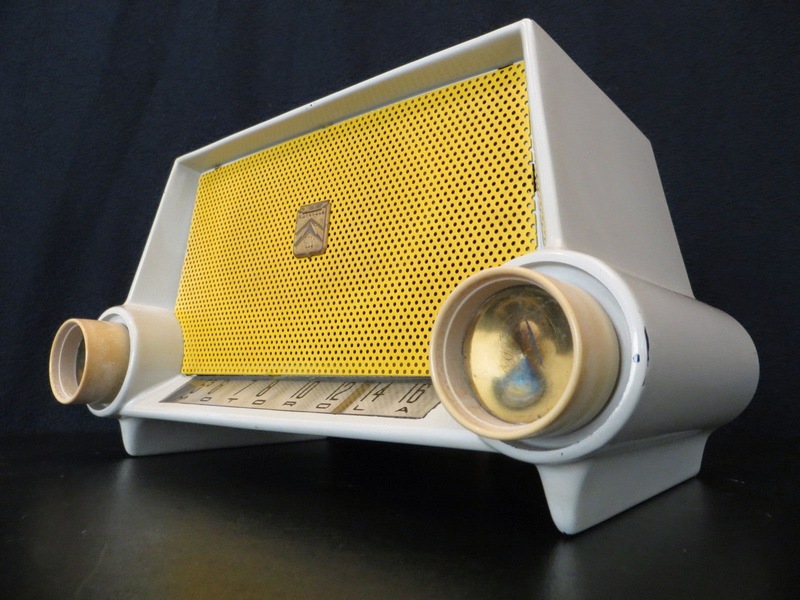 So get out there and buy some old radios, they are cheap, very easy to find and the styles range from Art deco to Atomic inspired....just look for the ones that "have that look" that speaks to you and buy one or two for experimentation. Yesterday's garbage is today's new toy. You never know what they will sound like, that's the fun part. Watch me hack into this old tape deck while I was on vacation. I bought it at a flew market, found some batteries at my Grandmothers house and hacked into it and played guitar right there on the spot,... snip-snip and it's hacked and cracked. Do you like Old-Time Bottleneck Blues slide guitar? Have a listen to the song at the end of this video.The overdrive on this hacked tape deck is just heavenly! Now that's good tone Ma Maw! 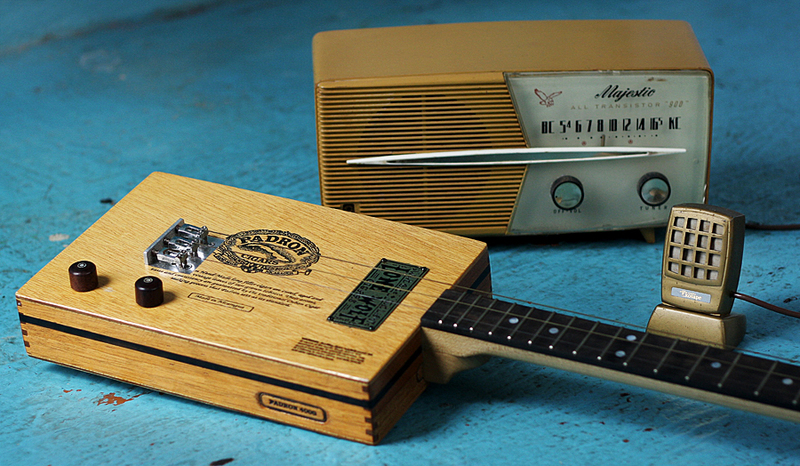 Cigar box guitars are just as much fun to build as they are to play. They are easy to make and easy to learn to play. Most only have 3 or 4 strings. Plus they have that vintage Old Delta Blues sound that no other guitar has. 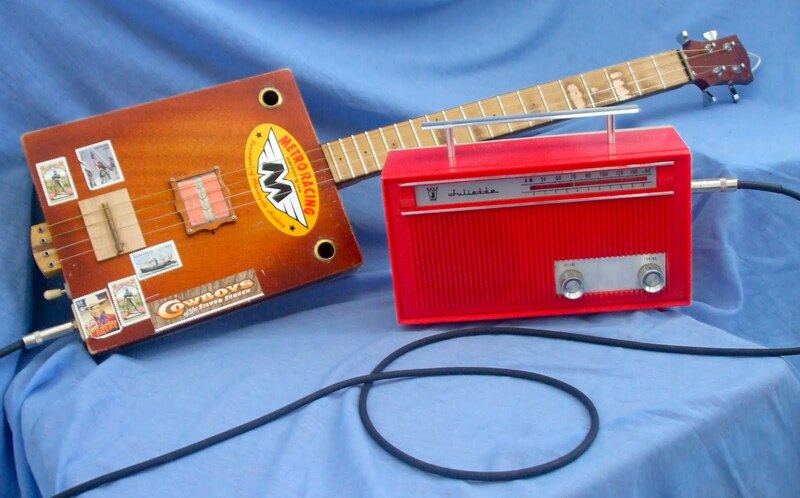 Plug a cigar box guitar in a homemade radio guitar amp and they really come alive, they sound just like the music of the 30's and 40's right there on your dial. For all the folks wanting to try converting and hacking their own radio guitar amp, but don't know where to start? 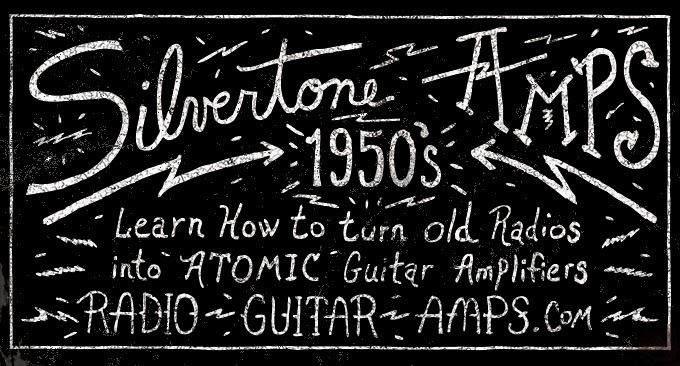 Silvertone was a radio maker who also made guitar amps. They are hands down bar none, MY favorite brand. I love anything made by Silvertone. 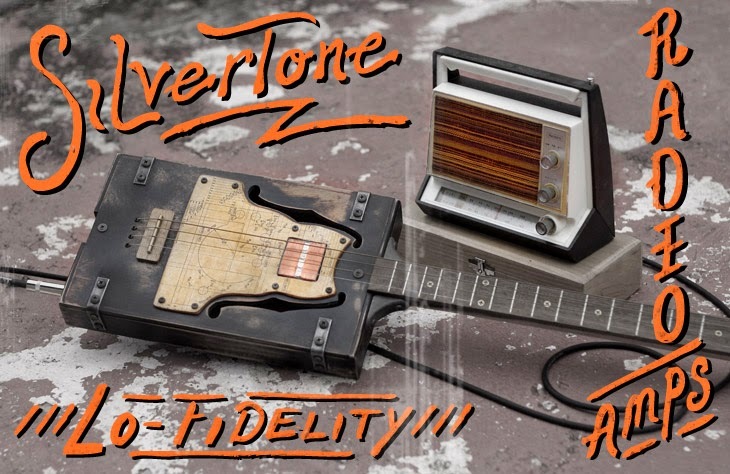 The old Silvertone radios sound just like the vintage guitar amps of that time period, only nowadays they are much cheaper and way cooler to buy and play. 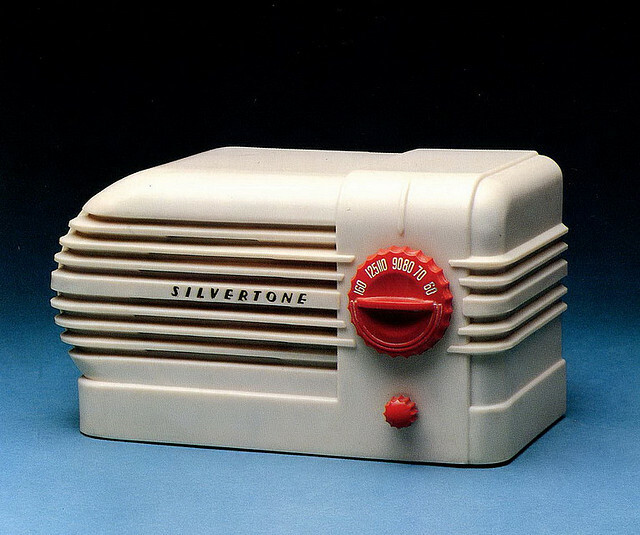 Silvertone made many "Fins & Deco" influenced radios during the 40's, 50's and 60's "Atomic" era. 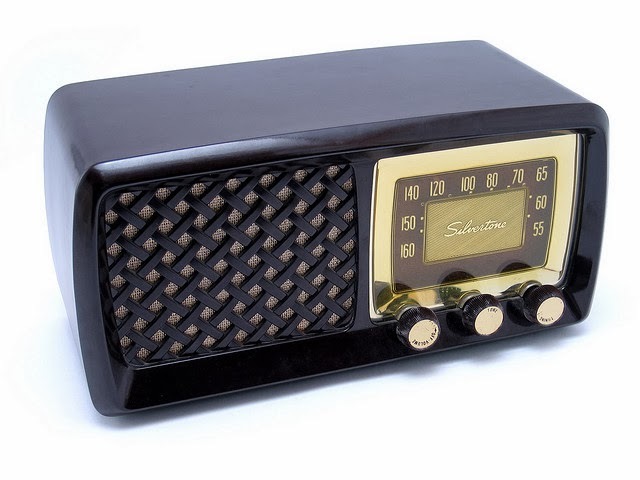 Head on over to ebay and type in "Silvertone Radio," there are so many to be had in the 20 to 40 dollar range. The hardest part is deciding which one you like the most. They are easy to convert and always have a great tone. 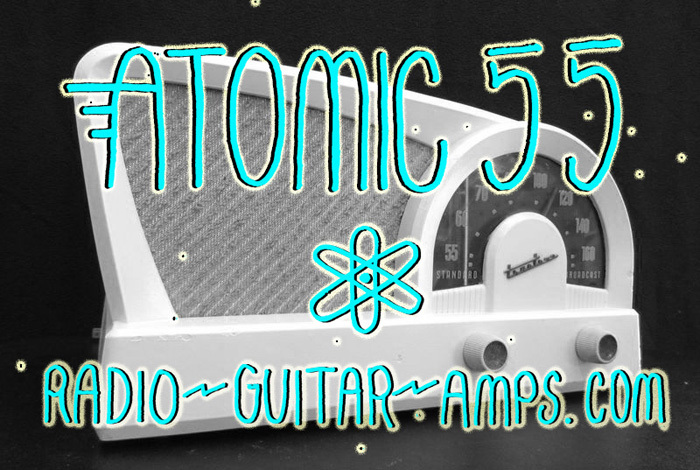 Try converting a Silvertone Radio into your own Atomic Pocket rocket guitar Amplifier. Check out this Late 60's Tweed Silvertone Radio guitar amp, way cool for any cigar box guitar player. AM Gold never sounded so good! I'm on a roll, this is as gritty as it gets, have a listen to this recording....and yes, there is effects on this one. 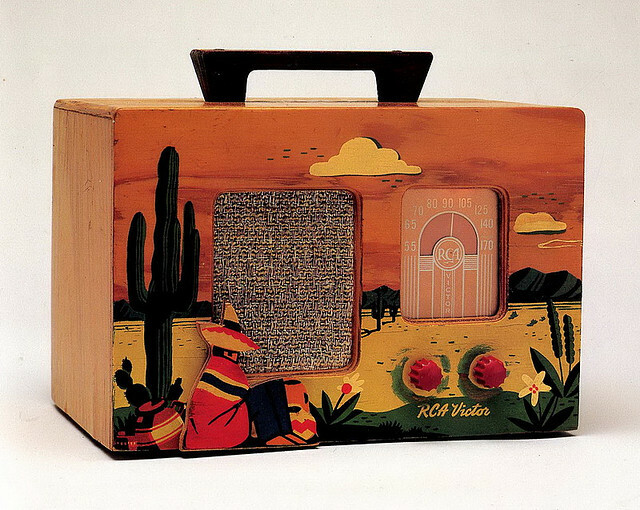 These little vintage amplifiers will open up a world of recording possibilities for you. I added overdrive and reverb in the mix. 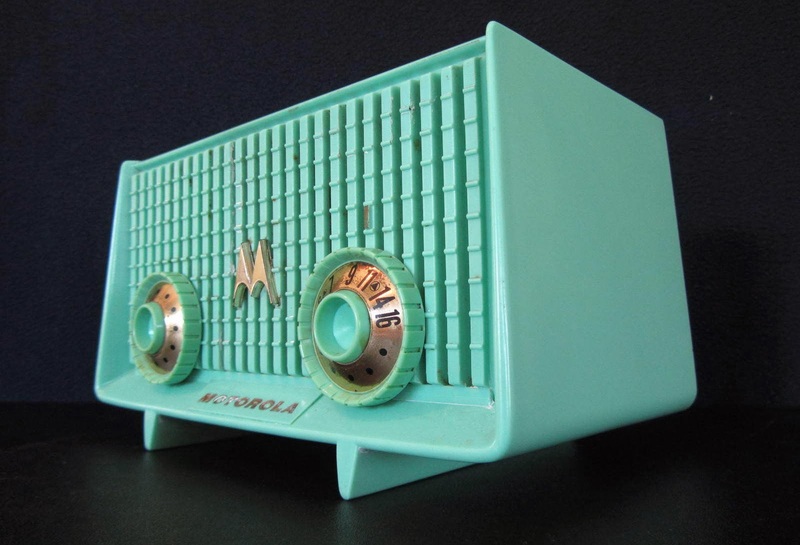 Some of the coolest old radio bodies no longer work, but good news is there is many Do-it-yourself guitar amplifier kits out there and you can add battery powered parts to get these old bodies up and running. Google search "Guitar Amplifier kit"
Look for battery powered items, tinkering with old electronics can be dangerous with AC current, however with DC battery power you can experiment without much worry of danger. You can hold and touch the live wires and not get shocked. Other than adding a 1/4th input guitar jack, everything is already part of a radio or tape player. That's the wonderful part, radios are amplifiers! You will just need to figure out where to splice into and tap into the input "radio signal" and then you'll replace the radio signal with a guitar signal. It is already an "amplifier." Wayne Kimbell and I were partners doing graphics and photography for Rock & Roll artist during the '68-'69 era. My friend Warren Zevon was recording his second album at Wally Heider's studio with a Peavey's amp turned up to 11 to get feedback and he was making enemies in nearby sessions. I had seen a 5 watt radio amplifier at Pacific Radio and the idea hit me right there. I made the first Pignose in an English Leather cedar men's cologne box. At that time we were living in our storefront studio on Melrose Avenue in East Hollywood. Wayne paid for a Copyright attorney and he gave us enough to make about 65 Pignoses. We gave them to some of the most famous musicians of that era, including Led Zeppelin, The Rolling Stones, The Beatles, The Eagles, The Who, and many others. The first production Pignose model was debuted publicly at the 1973 NAMM Convention in Chicago. Now known as the "Legendary 7-100," the amplifier is still in production today. It has also found a role in many recording studios. It has been used on records by Joe Walsh, Eric Clapton and many more...and as they say rest is history! This radio below is called a "6-x-7" Victor Radio. I see these all the time in the 20 to 30 dollar range, They seem to always be mint green and must have been popular??? They are always for sale on ebay. Search out "Channel Master" radios on ebay, they are cheap and super easy to turn into guitar amps. ...retro 60's with great looks! 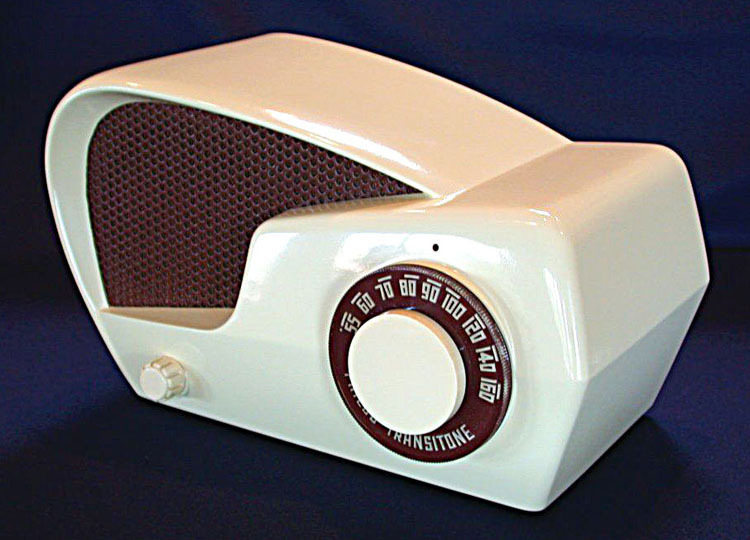 This Little Airline Radio was sold at Montgomery Wards in the 1960's. It certainly has that "it" factor and was up for sale on ebay for just 17 bucks. I am not sure what to make of this thing,...best left for the scrap heap???? ....or your next guitar amp? 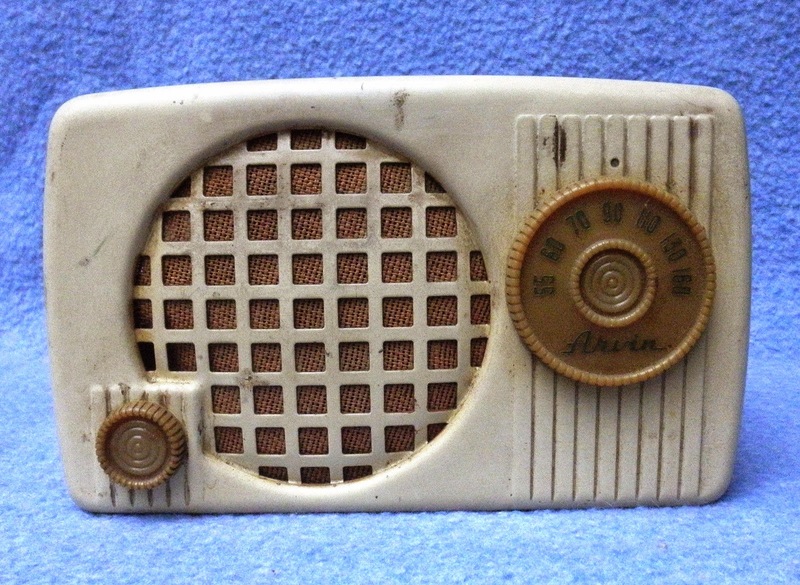 I have seen several variations of these 30's and 40's "Airstream" radio bodies. They were a style that was super duper mass produced and can be found on ebay all the time. It must have been a re-sold patent design. I have seen it for sale under many different brand names. Same body with only a different logo or branding on the dial. This is another great aspect of this hobby. 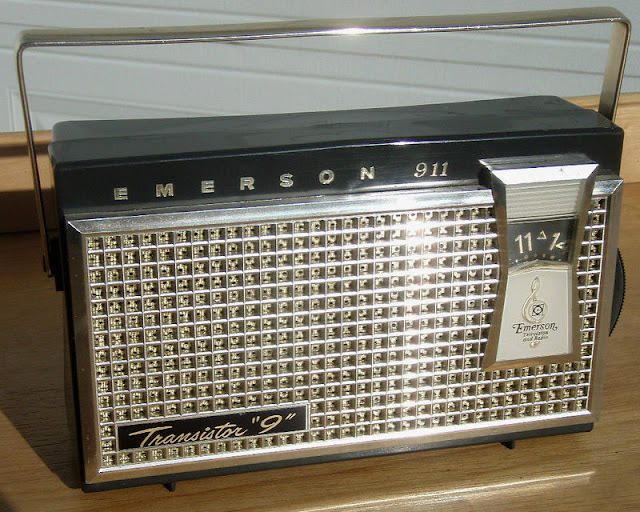 The fact that before TV and the computer, every house had a radio. Many houses had radios in several rooms, and on top of that, people back then do the same thing we do today. They constantly upgraded their technology, buying new radios every few years. 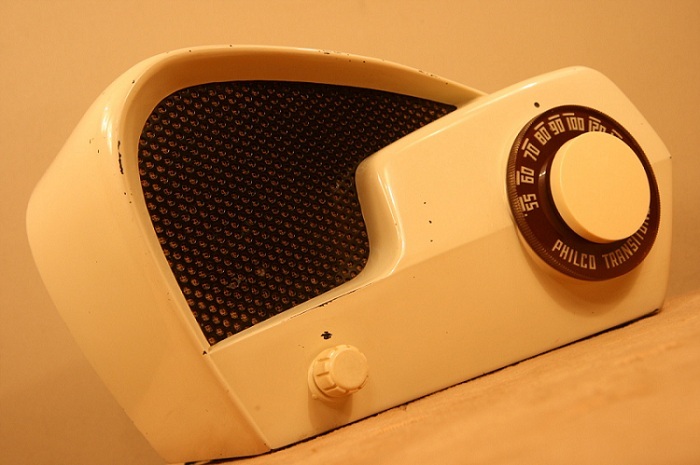 Because of that, there are millions of these old radios out there in closets and sheds and in attics and for sale at flea markets. Old and vintage radios make the coolest little guitar amplifiers! After hacking into an old radio, another area of exploration is finding the right microphone to record yourself with. Using a cheap or old microphone might give you a wonderful scratched and vintage over tone. On the other hand a great mic such as a studio microphone like a Sure mic or something designed for guitar like a Sennhieser Lollipop mic will give you many options on recording your amp. The microphone you chose to record with will "color" your music in various ways and adding a further layer of possibiities. All microphones record differently. There is a whole world of homemade microphones, old intercom and lobby mics, vintage and antique microphones that will open up another world of tone options in your recordings.... go search around and read into vintage microphones, it's another fun area of study for the Lo-Watt Rocker. Recording and making a little amp sound "BIG"
Recording with any amp is an art in itself, but these are some quick thoughts posted here. One thing to keep in mind, is to remember where you record at, as this will effect the overall sound of the recording itself. Recording in a small home closet will give you a near studio recording, it will prevent any bleed thru noise from the street, cars or family and will focus all of the output sound from the amp into the microphone. Recording in an empty room or garage will give you a "bigger sound," allowing you to pull the mic further away from the speaker or placing it closer to the face of the amp depending on the tone you are after. By doing this you will achieve the reverb from the room and or lessen the overdrive or strengthen it. Recording natural in the bathroom will give you a more distant, natural reverb sound. Here is a sample recording of what can be done once you start to experiment around your house. Have a listen to this video, do you like this tone? If you have read this far, hopefully this webpage has inspired you you try new ways of playing guitar thru a vintage radio or modded or cheap amplifier. I want you to be able to look around for ideas of creating new and interesting ways of recording to help you achieve a vintage sound. I do know that this type of hobby is NOT possible for some people. Yet you are still here reading this and want to precipitate and get that old time sound in your playing. But, you might not have access to an old radio or the ability to work on one. There is a shortcut! It's called the Pignpose amp. I love these little guitar amps. The Pignose 7-100 amp was invented in the early 1970's and was created using transistors and it is has similar circuitry. They still are made today and they sound the same as the old ones. They still use transistors to give it a vintage tone right out of the box. They are for sale in just about any music store for about $80 bucks. 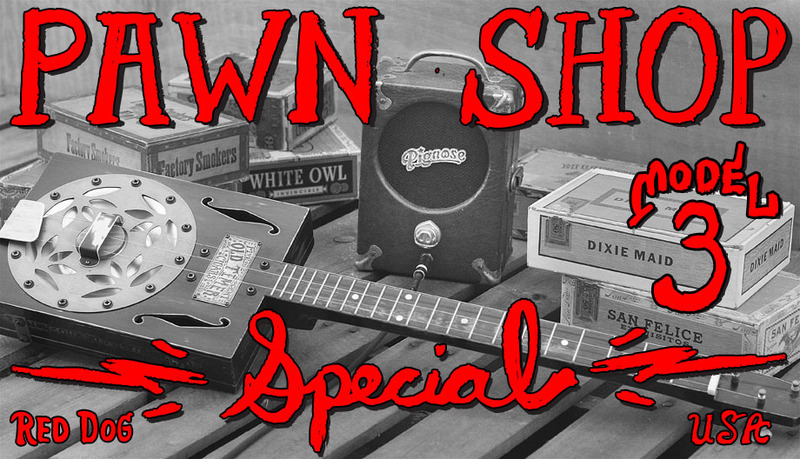 They are fun and great sounding amplifiers and are perfect for playing cigar box guitar and old time Blues. 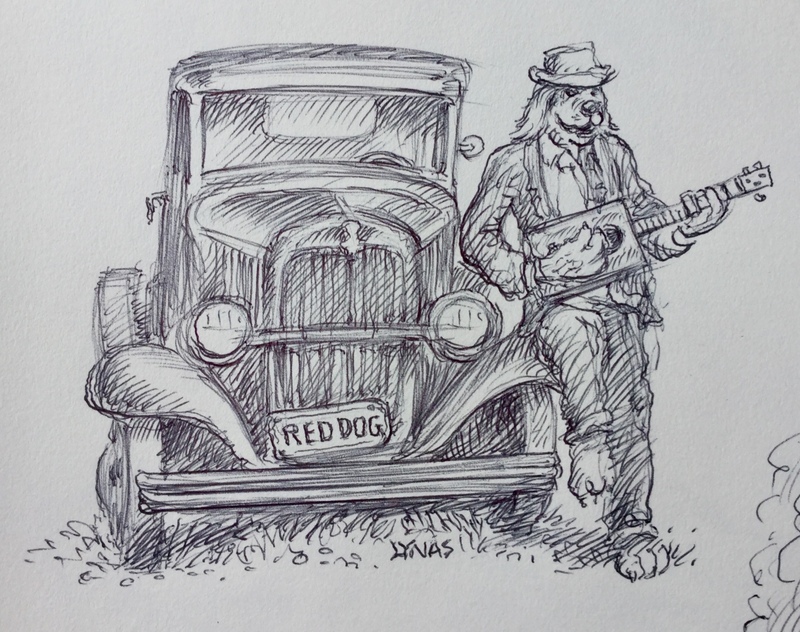 Do you like early 1900's old time blues and slide guitar? 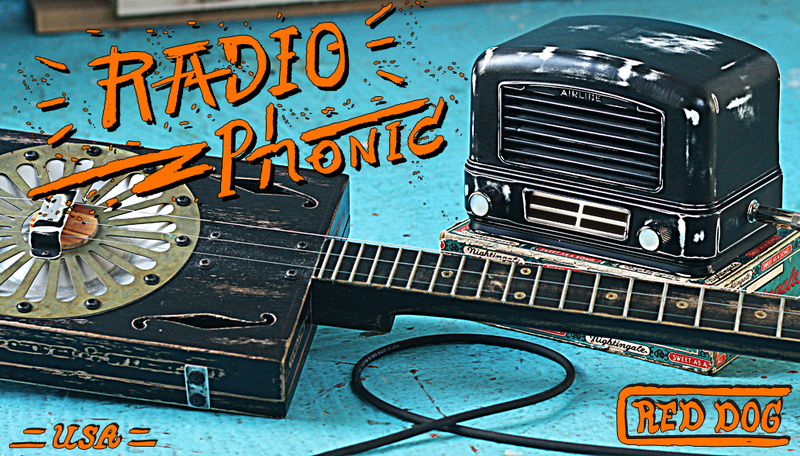 I have recored many songs with these old converted radios, vintage amps, and 3 and 4 string cigar box guitars. 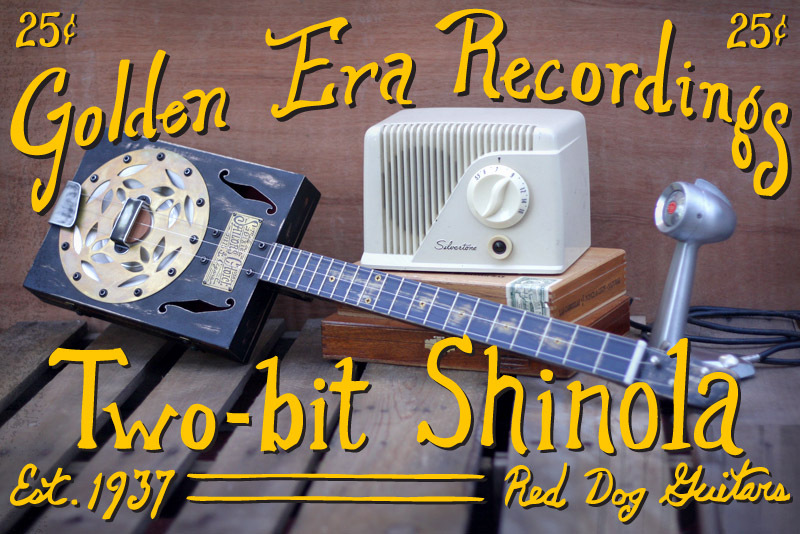 You can listen below to the songs for free right here, all of this music is cigar box guitar music and NO regular guitars, No singing, NO bands. 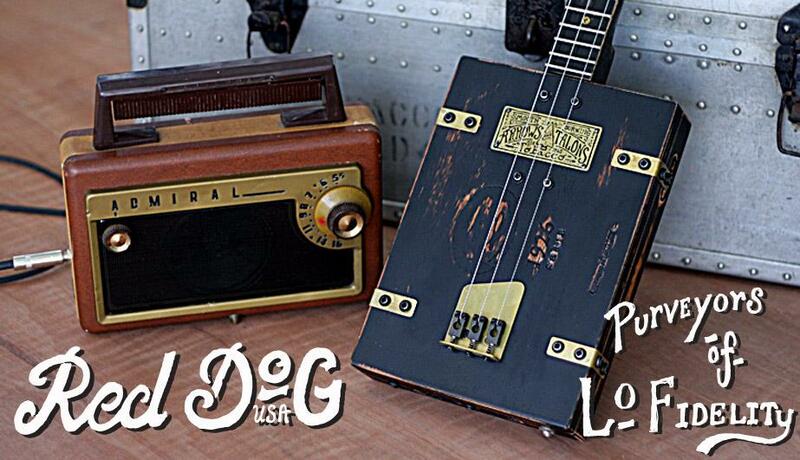 ago in the past to relive those long lost sounds that were once played on homemade cigar box guitars. If you would like to listen to them while not on the computer, you can download these albums so you can listen to them later at work or in the car or walking and on any digital phone or mp3 player. They are for sale for $14 each, if you buy one, thank you for any support in my music and this hobby. It encourages me to make and record more music. I hope that you enjoy my music and I have put many hours into creating it and trying to make it sound as authentic as possible and from a time long ago. This is my Dust Bowl Blues album. Here is my other album. I can mail them to you anywhere in the world. 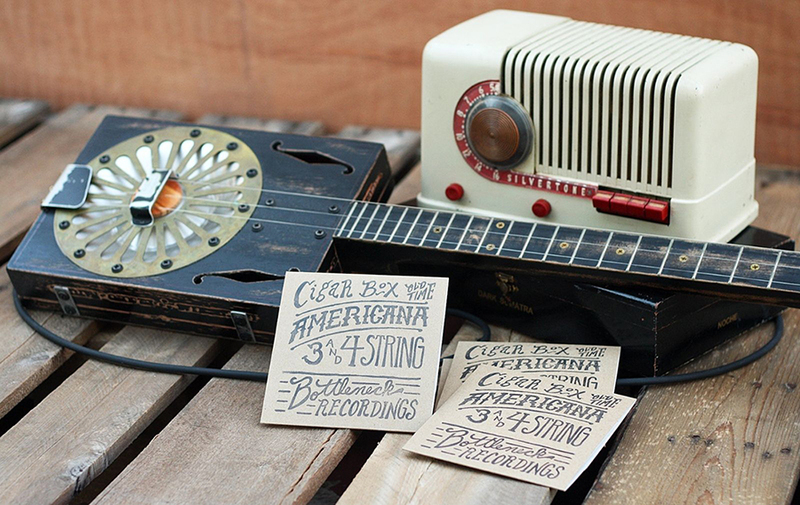 If you are looking for a fun hobby, Cigar Box Guitars are super fun to play. I like to build 3 and 4 string guitars. They have an authentic old school Blues sound to them. These guitars are easy and fun to build I also sell fully built guitars. Would you like me to make you one? ...ask me about our quick delivery specials! If you would like to try to make one yourself. 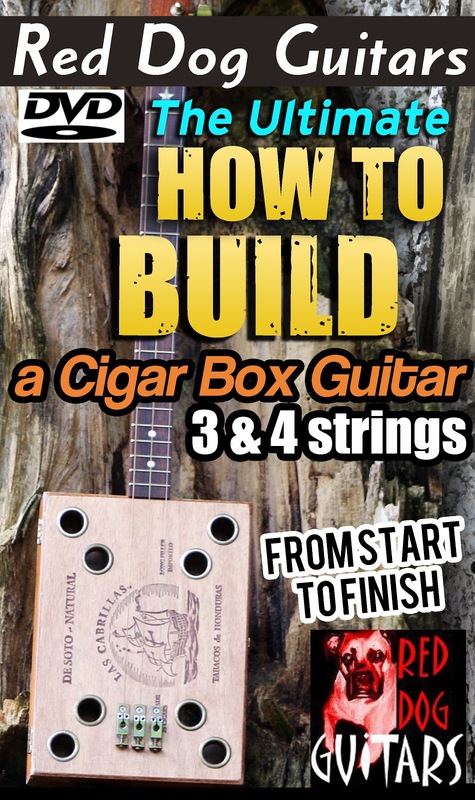 I have filmed and editing the most complete How to Build a cigar box guitar DVD available. Even if this is your first time or if you have built guitars before. I will show you how and what I do, everything is covered from start to finish. It doesn't matter if this is your first time, or your 10th. 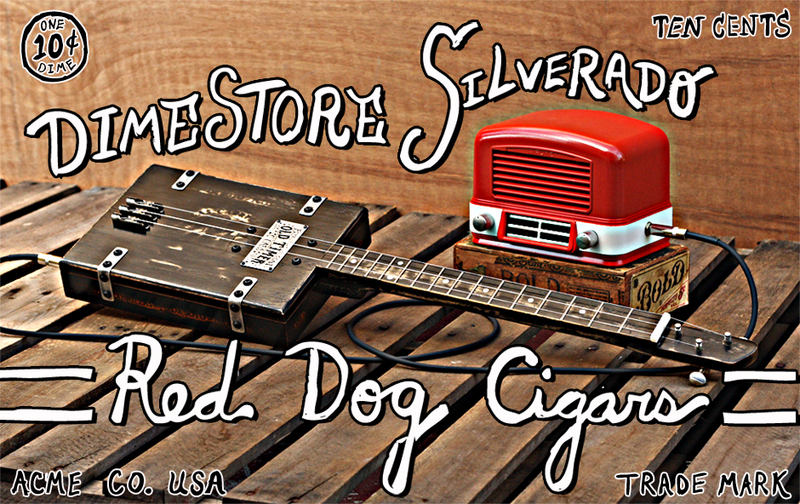 I cover old time cigar box guitars and resonator guitars and both 3 and 4 string guitars. 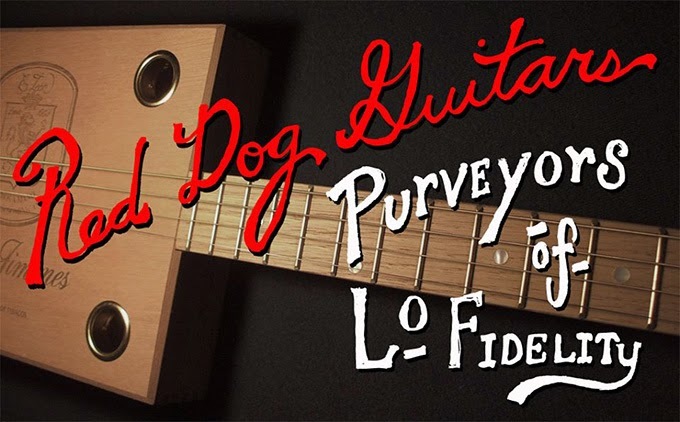 This DVD is from A to Z, the complete start to finish with advanced building of cigar box guitars. 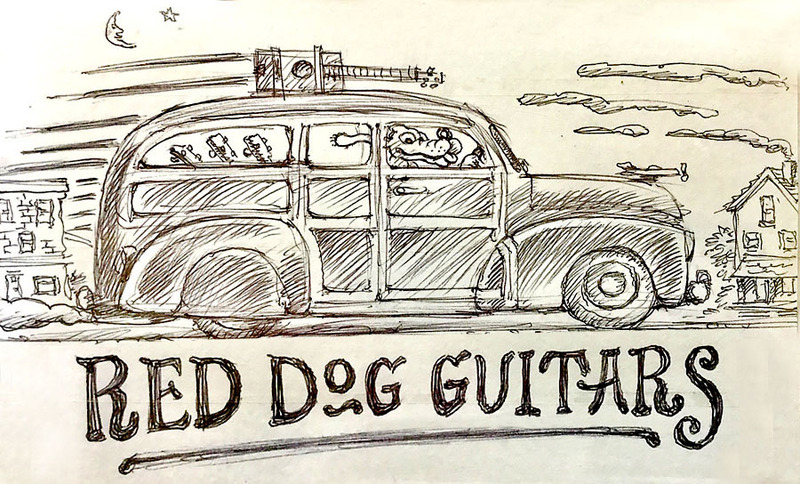 Full of many secrets that can only be found on a Red Dog Guitar...BUT...the best part is you too can build a guitar just like the ones on my website with this DVD. I cover standard 3 and 4 string and I even cover How I build resonator guitars. or visit reddogguitars.com If you want to learn more about my work or Cigar Box Guitars.